A metallic revival of a 1980’s classic rock staple that is as vocally brooding as it is rife with brutal riffing, Black 9’s rendition of the Stevie Nicks/Tom Petty song “Stop Draggin’ My Heart Around” (originally released on the required 1981 LP Bella Donna) is a juggernaut of a cover and a fine new single from the acclaimed trio. Black 9 play a style of melodic heavy metal that owes as much to the grimy dirge of Black Sabbath as it does Alice in Chains’ tempered style of attack, and though a number of critics will tell you that metal couldn’t be much further from the mainstream in 2019, this band finds a way to challenge that narrative with this stylishly appointed release. I’ve never been a big fan of new bands reshaping classic songs, but that’s not what this cover of “Stop Draggin’ My Heart Around” does. Instead of trying to do something that has already been done, and essentiallyperfected over a generation ago, Black 9 dig deeper into the aesthetical makeup of the song and yield something decidedly fresh and new from a mainstay of the American rock n’ roll songbook. 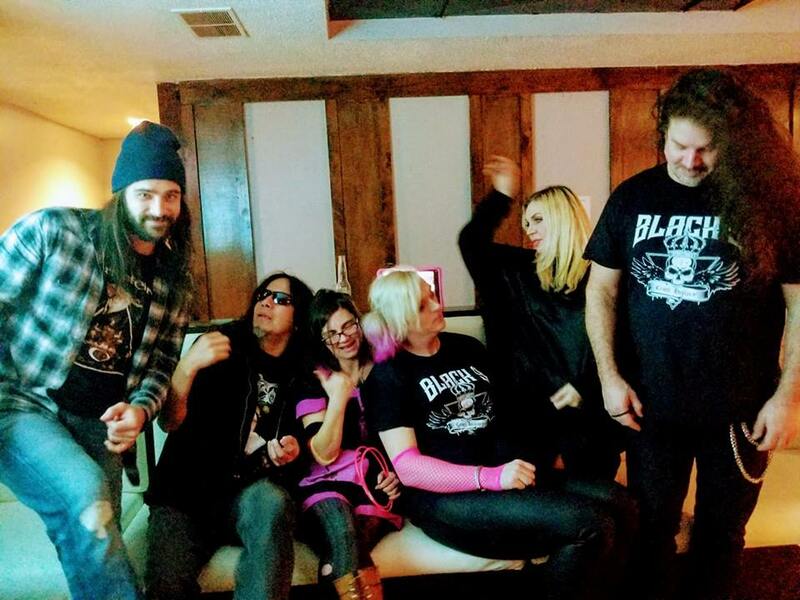 There are a lot of ways that you could reinvent the simple structure of “Stop Draggin’ My Heart Around,” as is the case with most of Stevie Nicks’ best-known releases, but Black 9 are careful not to tread on any previously ventured ground. The biggest thing that they do here is filtration; they’re basically straining the compositional concept through their own unique blend of fiery riffage and evocatively woven vocals, which are never quite at the forefront of the mix yet still manage to spellbind us from the moment of their first appearance. The same honey and vinegar dueling that we encounter in the original song is present, but it’s been refined and re-stylized around this studded rhythm, which is a lot more agile than anything I was expecting to hear in this recording. Instead of preserving the spaces and gaps between the verses, Black 9 are constantly attacking them with the crunch of the guitars and wail of the vocals, which together form a gorgeous harmony that justifies the acquisition of this single on its own. Solidly outfitted with heavy metal grooves and a sizzling melodic twist that will bring pop fans in droves, Black 9’s “Stop Draggin’ My Heart Around” is a smart, affectual cover song that doesn’t try to patronize its listeners with a lot of cheap studio scheming nor tired and tried showmanship, but instead makes the most of its exotic combination of creative elements. Though their sonic profile could be considered at odds with that of Stevie Nicks’, the distance between the two camps doesn’t seem all that severe in this track, which seems to unite past with present in a dazzling display of carnal rock n’ roll machismo flanked with searing feminine charms. You don’t have to be familiar with their work to appreciate the highbrow nature of this cover, and I think this song will eventually serve Black 9 well in exposing their diverse and versatile skillset to a much larger audience. Previous Previous post: What does antivirus actually do?